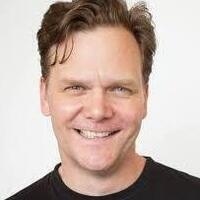 Taylor Mali is the author most recently of Bouquet of Red Flags (Write Bloddy Books 2014), a poetic celebration of "a marriage I did not yet realize was over." Mali is also the author of What Teachers Make: In Praise of the Greatest Job in the World (Putnam 2012) and two other books of poetry: The Last Time As We Are (Write Bloody Books 2009) and What Learning Leaves (Hanover 2002). He received a New York Foundation for the Arts Grant in 2001 to develop Teacher! Teacher! a one-man show about poetry, teaching, and math, which won the jury prize for best solo performance at the 2001 Comedy Arts Festival. Formerly president of Poetry Slam, Inc., the non-profit organization that oversees all poetry slams in North America, Taylor Mali makes his living entirely as a spoken-word and voiceover artist, traveling around the country, performing, teaching workshops, and doing occasional comercial voiceover work.